With the renewed interest in animated movie musicals, Blue Sky Studios is attempting to capitalize on the trend with their latest film, Rio 2, the sequel to 2011's Rio. You can listen to the full soundtrack album above via Soundcloud. The soundtrack features Janelle Monae, B.o.B, and Bruno Mars. Kristen Chenoweth, will.i.am, Jesse Eisenburg, and Anne Hathaway provide the voices for the Angry Birds-inspired characters and are featured in several of the film's musical numbers. Chenoweth and Jermain Clement shine on the duet "Poisonous Love" and are bound to make viewers laugh with their whimsical rendition of Gloria Gaynor's "I Will Survive." Anne Hathaway proves her talent as a singer once again on the somber "Don't Go Away." 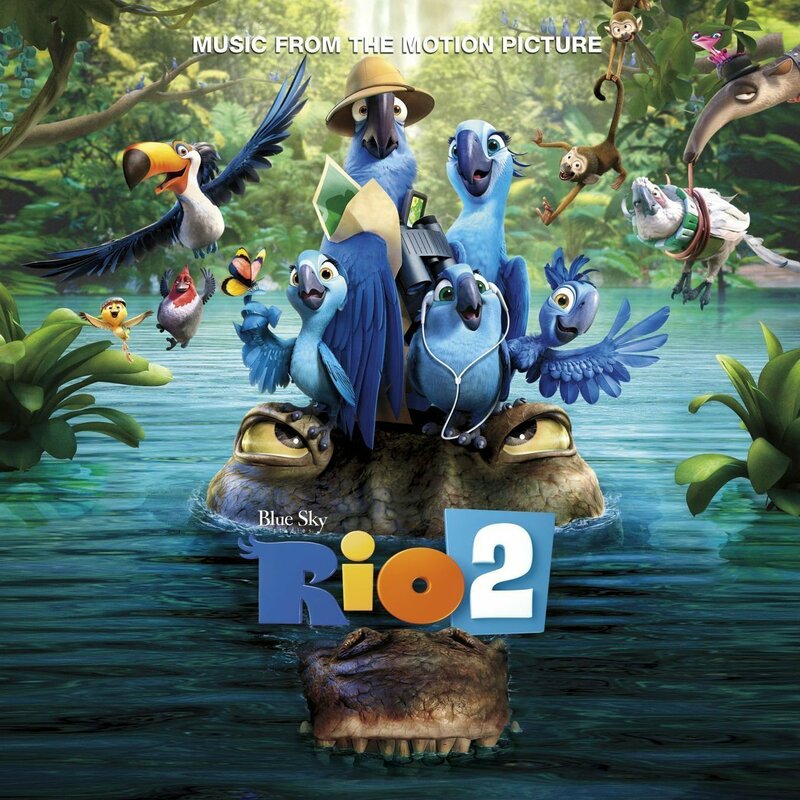 "Rio, Rio," a reggae/hip-hop-infused song by Ester Dean and B.o.B, provides an upbeat dance tune for the film. Janelle Monae's song "What Is Love" is equally as upbeat and infectious, and makes a memorable theme song for the animated flick. The most notable track, however, is Bruno Mars' "Welcome Back" which is very reminiscent of The Lion King's "Can You Feel the Love Tonight." The remaining tracks continue with the reggae/hip-hip vibe and will definitely provide parents who have had "Let It Go" playing on repeat in their car with new listening material. The Rio 2 soundtrack is on Atlantic Records and can be pre-ordered on iTunes and will be available for download on March 25th.